Trinket Studios and Adult Swim Games aren’t done with Battle Chef Brigade. Close to a year after its original launch, a major “Deluxe” update has been introduced. 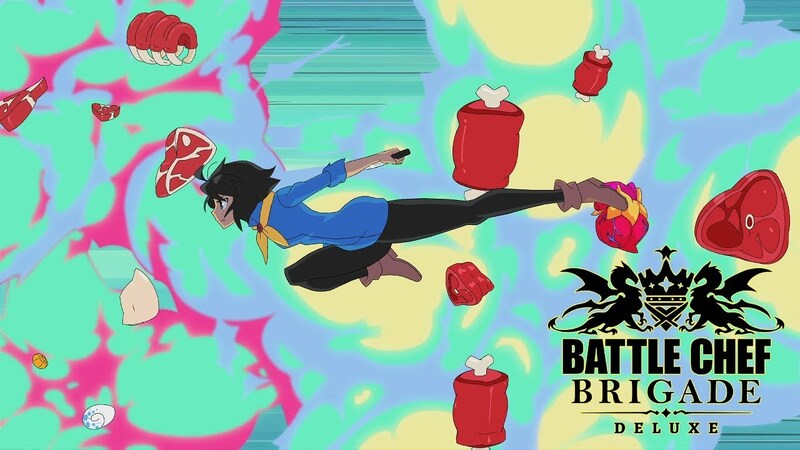 Battle Chef Brigade Deluxe adds a bunch of extra content. This includes Chef Ziggy, local multiplayer, and much more. Ziggy is the most mysterious and possibly unsanitary chef in Battle Chef Brigade. He has a lazy streak and relies heavily on his summoned minions. His sous skeletons lead the way, with rolling pins and pans, his imps carry ingredients to the pantry, and his turret-like demons take care of any stragglers. Of course, a good Battle Chef can’t always rely on magical help and, when necessary, Ziggy knows how to take care of business. A few breakdance-style kicks and a spin or two are enough to prep any monster for the kitchen. We had an incredible time designing him and can’t wait for you to slide into battle as Ziggy. In a game centered on intense hunting and cooking duels, multiplayer kicks it up a notch. We drew inspiration from fighting games, brawlers, and our couch-based childhoods to make dueling your friends and enemies perfect. Wait for your opponent to kill the Dragon and then swipe its spicy steak for yourself! There’s a buffet of options and items to choose from, including quite a few new ones for Deluxe, such as Ziggy’s Grill, Bony Tongs, and Carnivorous Expertise. New Survival Mode: A speedy arcade mode where a death in the arena ends your run. Each win lets you pick from an assortment of items as you conquer the leaderboards. New Free Play Mode: Practice hunting in any biome and crafting the 120+ dishes. This is the place to perfect your combos and analyze each ecosystem. New Gallery: As you level up your Brigade Rank with Survival runs and bouts in the updated Daily Cook-Offs, you unlock gorgeous concept art. New maps: Enter the Darkrealm in Daily Cook-Off, Free Play, Survival, and Multiplayer! New Challenges: Ziggy gets his own pair of Break the Dishes stages. Accessibility Improvements: We’ve added color-blind options, updated fragile state art, and let you fast-forward through duel introductions. Thrash Buffs: Everyone’s favorite father of two has a much-improved Counter, better Berserk timer, and speed tweaks. Battle Chef Brigade Deluxe’s release date on Switch isn’t quite set on Switch just yet. However, it should be August 28 or very close to that date.